Caption - Deutsche Reichsbahn (DR) 242 082 is awaiting 'recycling'. 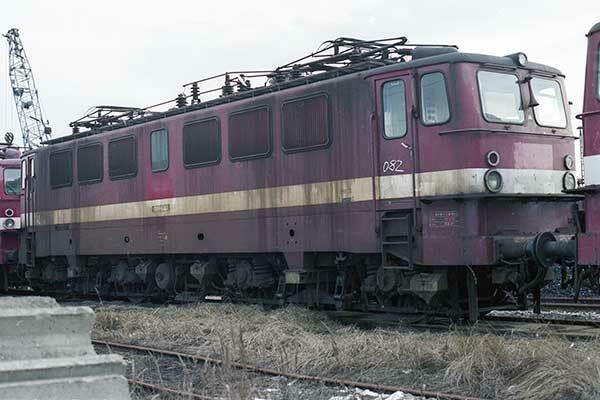 Built between 1962 and 1976 this class of 292 Bo-Bo electrics were common across the East German network. At Re-unification they became DB BR142 and some are still in use with open access freight operators.